When I opened Hulu and saw that Sir Charles was hosting I was like "Oh god, let's get this over with." He can do many things well, but SNL is not one of them. And this was his FOURTH time. Monologue: Painful, although if you can get past the delivery and listen to what he was actually saying, Barkley's words were funny. Grabbies: Not super horrible, but I could have done without the Aidy Bryant part. NRA: Okay, but how long did it take them to get Barkley to deliver those lines that well? Homework Hotline: Turkey really needs to be used more as an insult these days, otherwise that was a hard pass. Champions: For those who says Kenan has no talent, check it, he just carried that sketch. They should have just got A.Rod to host, although he'd have broke the whole time (all of those giggles and smiles) and yes, I know, I know, Barkley is a political commentator. Migos: Migos are three very attractive young men who make good hip-hop but sometimes I feel too old to listen to them. Also I really liked Quavo's glasses. WU: Che surprises me every week with his opinions. He usually falls so hard on the Libertarian side of things, but he seemed genuinely into the gun control argument, so that was nice to see. There were stickers on Cecily's Hope Hicks' "statement", which was ripped out wide-ruled paper. Aaaaand then Che with another anti-feminist joke, gee. Leslie <3 but also Leslie and Colin (Snowmuffin!) have the best chemistry. Also Hilary Knight should have hosted. Hump or Dump: Aidy as the contestant, me likey. Otherwise, sketch fail. ConEd: Best sketch of the night hands down. Luke Null Count: 3 lines! 2 sketches! Seconded. I have literally nothing to say about any of this. Except! Also Hilary Knight should have hosted. YES! Some people are just terrifically natural in front of a camera, and she appears to be one of them. The writing was OK, but Barkley (while amiable) absolutely killed the momentum of almost every sketch he was in with his mumbly, wooden delivery. I can't really blame him, because the guy isn't an actor and never claimed to be. I was amazed to find out this was his 4th time hosting because I have zero recall of the other times! WU had two extremes of exactly what drives me nuts about SNL's current take on gender relations. You had Michael Che do a smug, unfunny misogynist dad joke with the "March" thing, then you had Leslie Jones show up and basically holler feminist catchphrases and Beyonce lyrics like that's funny. (After watching her drool all over Colin Jost for a couple of seasons I thought his line about taking her out to show her some hockey moves was supposed to mean he was finally responding to all the flirting and looking for an excuse to go out with her... but instead it was a set-up for her to attack him for being sexist. Frankly it just seemed like they had an Olympian to shoehorn in there and they wanted an excuse for Jones to holler easy applause lines.) This is real playground insult stuff, boys on one side and girls on the other. No meat to it, and no brains either. Ugh. But I did think the Grabbies sketch and ConEd kind of redeemed the show in that department. Those bits had a real point, and actual jokes. There was a part in Che's monologue about guns where I got the feeling he was having to improv or work from memory. I got that same feeling during Bill Murray's spot a few weeks ago. Do they need to replace a bad teleprompter or something? Wait, was anybody saying that? I thought he was pretty widely beloved at this point. I thought his reactions in the Last Call sketch were freaking sublime. "Oh lord, turn me into a bird..."
Often the "cut for time" sketch is the best of the week. I wouldn't say Star Warriors was fantastic, but I'm amazed they cut it when it looks so expensive AND they got a JJ Abrams cameo! Wait, was anybody saying that? I laughed a bit here and there and liked most of it, but this episode felt lazy or thoughtless - even for this season. The Hope Hicks bit on WU was completely valid and probably correctly re-framed the situation for some low-info people, but the execution felt childish. I kind of liked 'Con Ed Repair Site' - but again written/executed childishly. I respect Charles Berkley but he has terrible timing and cadence. I don't know how much of 'Last Call' was McKinnon's idea - I hope to hell that it at least mostly came from her rather than someone writing that for her - but Berkley was a good sport and professional about it (and actually a little uncomfortable, and became moreso). My read was that everyone was enjoying themselves and cracking up and McKinnon, reading the mood, went the extra distance to raise the tension knowing that Berkley isn't a creep. Thanks bluecore! 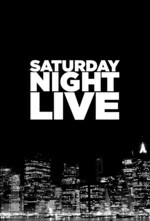 That was a smart skit and the role fits perfect for Berkley's... perceiveable limitations on SNL. Another surprised it was cut. Cost a bloody fortune too for the props & effects. Would've been the best skit of the show, would've (almost) redeemed it. I was amazed to find out this was his 4th time hosting because I have zero recall of the other times! My feeling during this show was "Please don't let him show up in a dress" which is one of the things I recall from his previous appearances. I think, yeah, this was not a great show. I like Barkley because he's often "Up for it" but he's not a comedic actor or even an actor, so when you get stuff that relies on timing, he sinks all of it. I didn't know what was up with the Che/guns bit, it did seem broken. And I enjoy Leslie's ranting, to be honest, since at least it seems genuine and not written by the general team of "We know there are social issues happening but don't really know how to handle them" writers they seem to have this season. She's like that in her regular stand-up also, so it seems very her.